Our heavily-wooded parkland course opened in 1973. The course is built on clay ground so is wet in winter but perfect for summer play. Each hole is individually tree-lined and golfers cross water seven times in 9 holes. 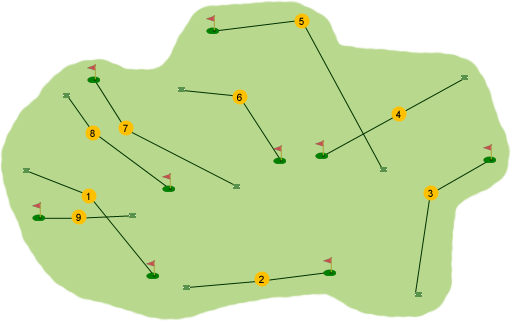 The layout ensures minimal walking between green and tee. Signature hole, the second, involves a 170 yard carry across the Agivey River. The Inn makes a perfect clubhouse!